Citing a source in the Defense Ministry, Komsomolskaya Pravda reported that a party of the light vehicles has been sent over to Syria. The new military-use UAZ Patriots were first demonstrated to President Putin this spring. In the summer, they were shown at a closed pavilion for specialists at the Army-2016 Military-Technical Forum. The gas-powered vehicles feature upgraded all-terrain capabilities, a one ton carrying capacity, and armor protection. They also feature power plugs for night vision, special tents for protection against shrapnel, and storage for ammunition. 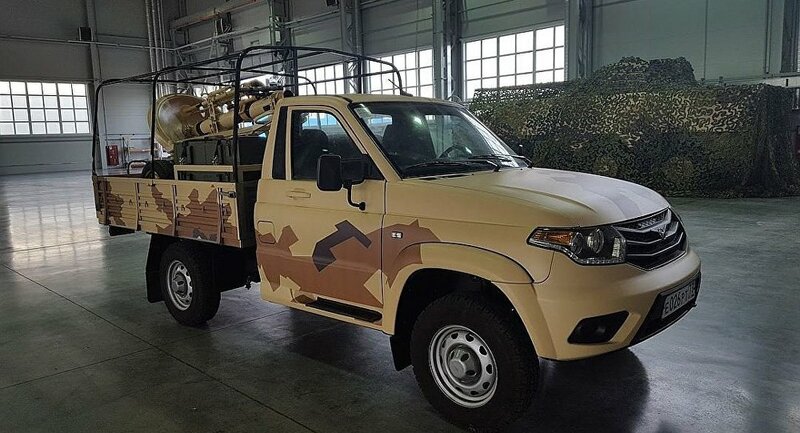 Experts suggest the new vehicles may replace or complement the UAZ-3132 Gusar, already engaged in Syria and used for operations by Russian special forces. Military analyst Igor Korotchenko told Komsomolskaya Pravda that the pickups will enable users "to engage in agile urban combat, attack and pursue the enemy in the desert, cover humanitarian convoys, which are regularly shelled, on the roads of Syria, and deliver ammunition to friendly checkpoints." In 2014, soon after Daesh made itself globally known by capturing large swathes of Syria and Iraq, world media reported on the terrorist group's successful use of large numbers of Toyota pickup trucks for their operations. Now, finally, the terrorists seem to have met their match.